Min. order 3 pieces to enjoy free local delivery. Separate diaper insert sell at S$3/pc. 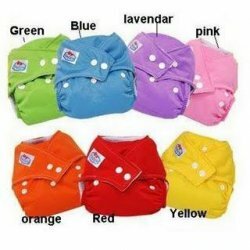 Get discount price at S$2.5/pc when purchase together with diapers. Free delivery with normal post. Additional S$2.5 for registered mails. We will reply through email to confirm your order. Please allow 2 weeks for shipment as we are currently re-stocking. Use GREEN diapers to keep our earth healthier. Hi I have a full unopened pull ups diapers from USA. great for potty training kids.